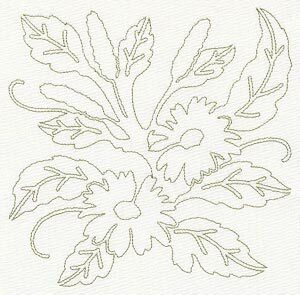 Embroidery Library has a wide variety of quilting designs. Find them here, and click on the the departments with the words "quilting borders," "corners," "half," "quarter," or "full." These designs can be used to stitch through a quilt top, batting, and back -- and they can be used as simple Redwork embellishments to garments and home decor items, too. 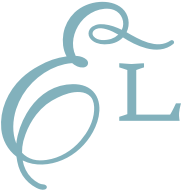 Some designs are labeled as "single run," and others as "double run." Single run designs have a single running stitch. Double run designs have areas where the stitches backtrack, or double up. 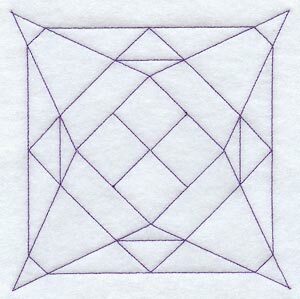 This is a single-run quilting design. When drawing this design, the artist did not retrace over any areas. The design is digitized as a single running stitch. This is a double-run quilting design. Some lines cross over other lines. And, to minimize trims, the digitizer "back-tracked" over areas, resulting in some areas being single running stitches, and some being double running stitches. If you'd like to learn how to quilt with these types of designs, there's a tutorial called Quilting with Embroidery Designs. The tutorial goes into more detail about the differences between single and double run designs.